Please contact us if you would like to arrange flowers, chocolates or other celebratory gifts to be in the room on your arrival. 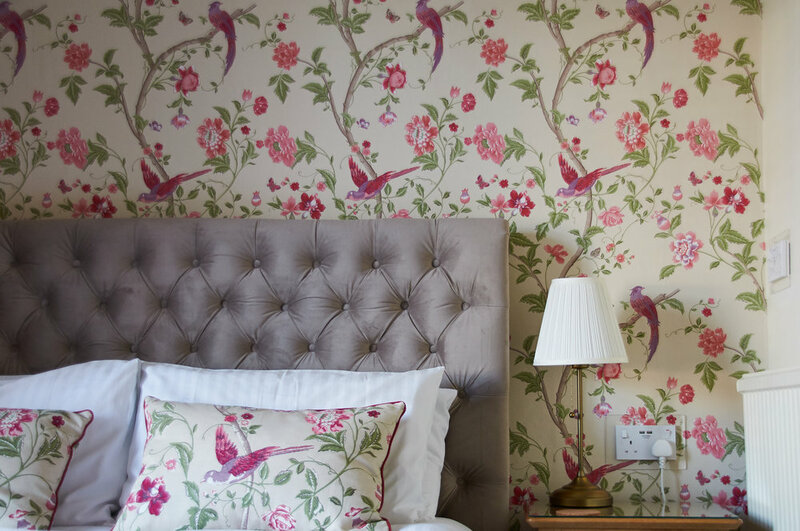 Situated alone at the back of the property, this individually decorated room benefits from the afternoon sun. 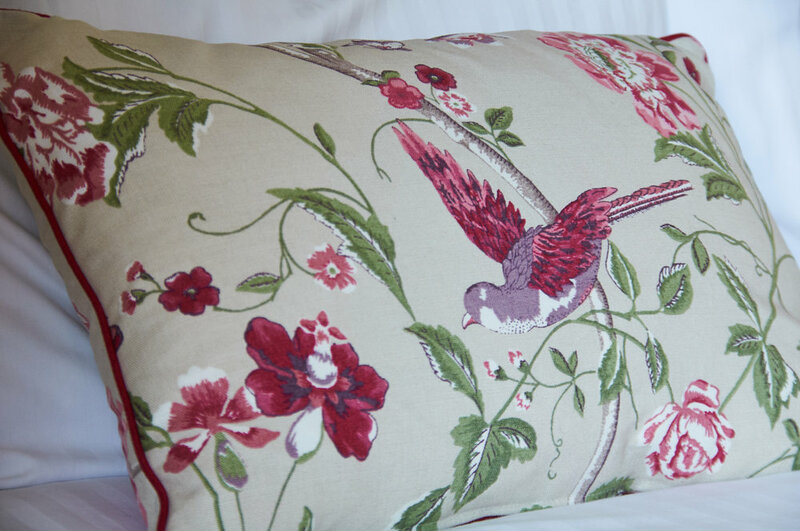 It has south west facing views of Claife Heights which lie beyond Lake Windermere. A comfortable tub chair offers relaxed seating. An annex with a dressing table and wardrobe leads into a spacious bathroom. 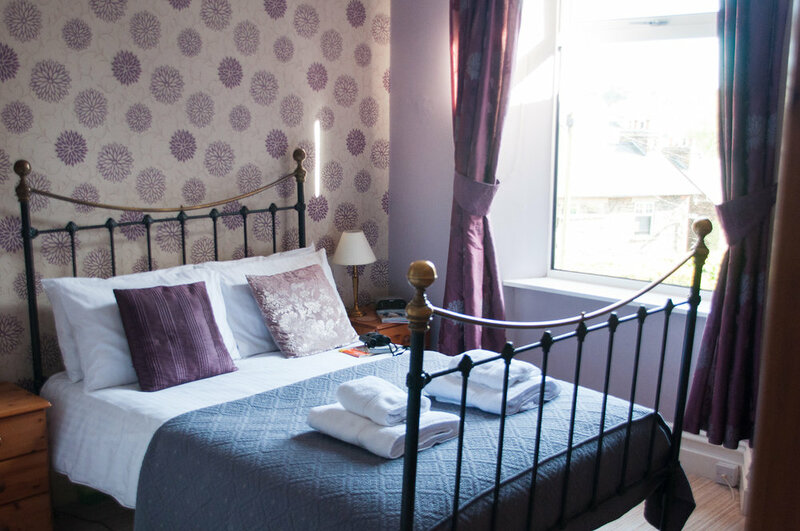 Located on the first floor this is a well-proportioned individually decorated double bedded room with convenient en-suite. 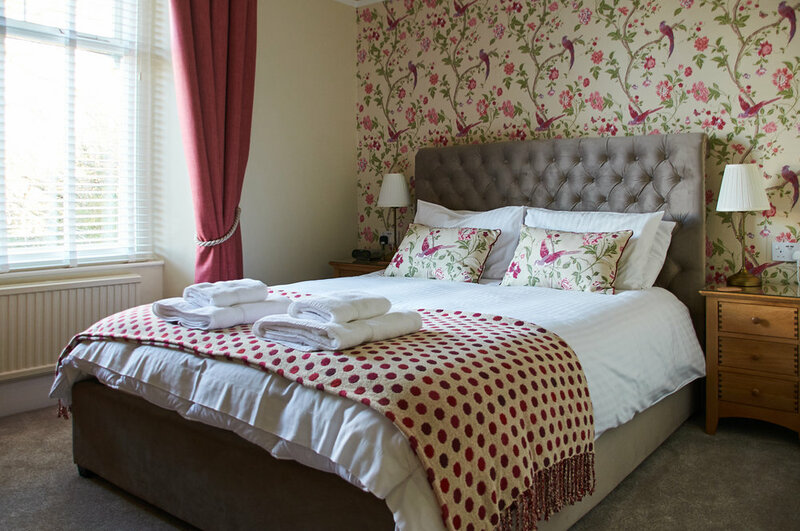 Guests can enjoy the afternoon sun with south west facing views looking over the roof tops towards Bowness-on-Windermere. Situated on the first floor with views across Windermere village towards Orrest Head. This spacious classically decorated room hosts a delightful King-Size bed with sumptuous deep buttoned upholstered headboard, a comfortable wingback chair compliments the furnishings of our grandest room. Situated on the first floor with a spacious ensuite and views towards Windermere village. 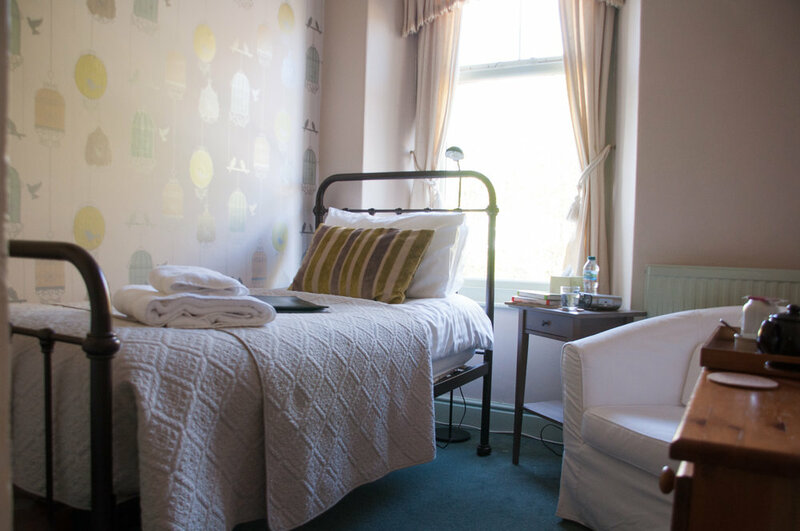 Our single room offers the perfect space for those travelling alone, either for business or pleasure alike. There is a desk/dressing table space and strong Wi-Fi signal and mobile phone reception. A tub chair offers comfortable seating for reading or watching television. Either a Large Double bed or Twin Single beds and an extra fold out single bed on request. This room occupies most of the second floor of the guesthouse and can accommodate up to three guests. 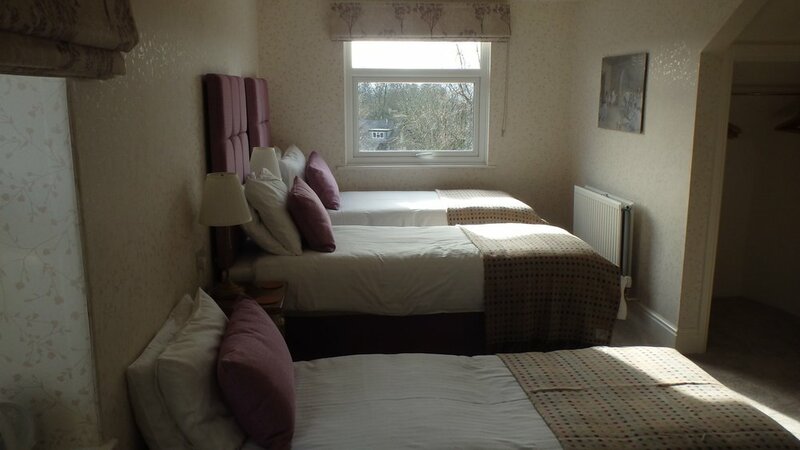 There is a large double bed or twin single beds by prior arrangement, and an additional fold out single on request. There is also a comfortable sofa for relaxation. Children between the ages of 7 and 15 years can be accommodated by prior arrangement in this room. This room offers views across to Claife Heights which lie beyond Lake Windermere. 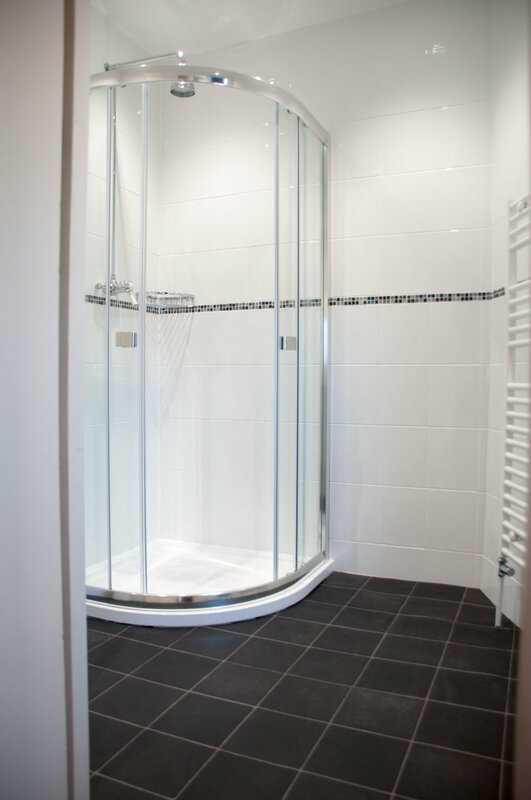 The en-suite bathroom is fitted with a pumped shower with both 'watering can' head and handspray. 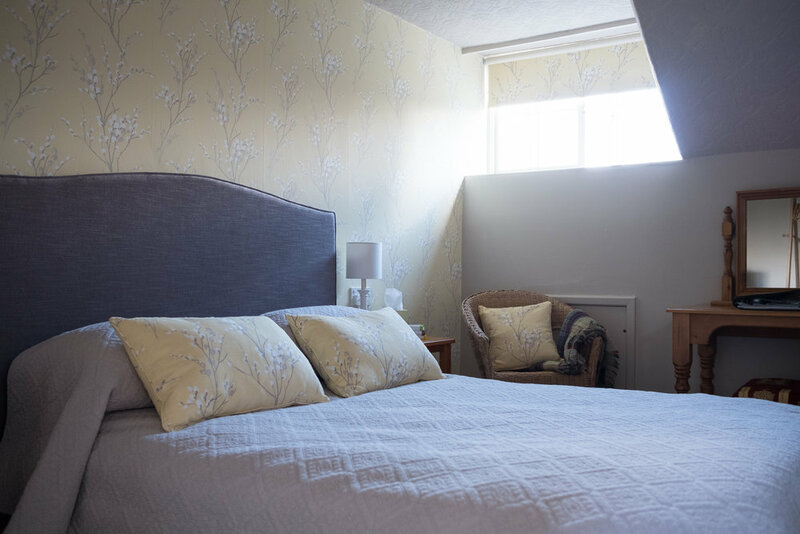 A compact cosy double bedroom with a generous en-suite located up in the eaves, a dormer window allows views across Windermere village to Orrest Head. We also offer this room for single occupancy.